Laraine McKinnon is the founder of LMC17, a strategic consulting firm that blends behavioral science, big data and practical implementation ideas to address challenges and opportunities in the retirement industry, diversity & inclusion and talent development. As an acknowledged retirement readiness expert, Laraine helped improve retirement outcomes for millions of Americans through key roles at BlackRock, Barclays Global Investors, and Wells Fargo Nikko Investment Advisors. Laraine currently serves on the Advisory Board of Betterment for Business. A tireless advocate for high potential underrepresented talent, Laraine launched the CLUB Incubator, a women's leadership advocacy program, and builds diagnostics and programs to support the onboarding, retention and promotion of diverse talent. Laraine is a graduate of Wellesley College. She lives in Silicon Valley with her husband and two daughters where they enjoy hiking in the local hills and sailing on San Francisco Bay. 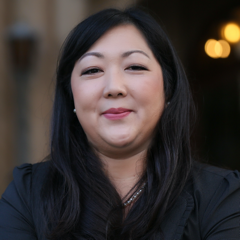 Mindy is an internet and intellectual property litigator with a passion for litigating cutting-edge cases at the intersection of technology and free speech issues. She also helps clients resolve disputes involving trade secret, copyright, trademark and patent issues. 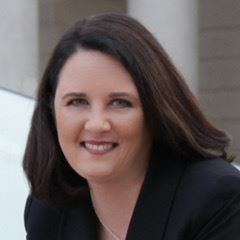 Mindy works closely with clients to resolve disputes quickly and efficiently when litigation is not in their strategic interests. When early resolution is not possible, she is a zealous and professional advocate with jury trial experience. She is dedicated to doing the right thing the right way. She believes in giving back to the community and mentoring other women, and is active with several nonprofit organizations in the Bay Area. When she isn’t defending free speech rights, she is frequently singing or attending football and basketball games at Cal. Angie is the Director of Growth at Hackbright Academy, which runs a 10-week accelerated engineering fellowship exclusively for women in San Francisco. 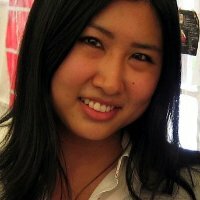 In 2008, she started Bay Area Girl Geek Dinners to network women in technology. Dinners are sponsored by companies including Google, Facebook, Yahoo!, Box and Intel. Prior to that, she co-founded Women 2.0, a media company which promotes women in high-growth, high-tech entrepreneurship. She was named in Fast Company's 2010 "Most Influential Women in Technology" and more recently Business Insider named her one of "30 Most Important Women Under 30 In Tech". Connect with her on Linkedin. Karen is an advocate for women in the tech industry. She is a leadership coach, a speaker, and a writer. In 2014, Karen delivered a TEDx talk: "Women in Tech—The Missing Force." She is co-author of "Present! A Step-by-Step Guide to Public Speaking" and has published articles in Inc., FastCompany, The Daily Beast, Women 2.0, and other leadership sites. In 2015, the California State Assembly honored her with the Wonder Women Tech Innovator Award for outstanding achievements in business and technology and for being a role model for women. Formerly, Karen was a vice president at Adobe Systems. Karen holds a degree in Computer Science from Brown University. EVP, Director of Banking Transformation at Zions BancorporationAs Director of Banking Transformation for Zions Bancorporation, Kristiane is responsible for driving strategic, technology-enabled business transformation initiatives for the bank. Prior to joining Zions, Kristiane was a Director in PwC's Digital Banking practice where she helped banks and financial technology companies envision and execute complex business transformation projects. She led complex systems implementation and re-engineering programs, merger / acquisition, international market entry, product development, cost restructuring, process improvement and regulatory-driven change programs for banks, payments, and financial technology companies. Kristiane is also the Founder of internet marketing firm k2 Web Development & Marketing LLC. Erin's passion is mentoring and providing strategic guidance to early stage tech companies, especially those who want to reshape the enterprise. She is skilled at navigating through growth barriers that could stall a company’s trajectory and finding the keys to ignite accelerated growth. 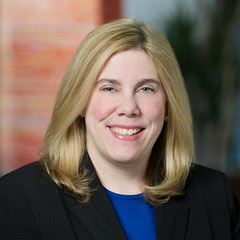 She has broad experience designing and implementing strategic and operational initiatives at companies such as IBM, Brocade, NetApp and ServiceRocket.Erin currently serves as Chief Operating Officer and Secretary at ServiceRocket, a rapidly growing company that helps fast-growing software companies scale by providing their enterprise customers with training, support, implementation and tools. In her current role, Erin is responsible for worldwide operations, talent and all administrative functions (including IT, finance and legal). 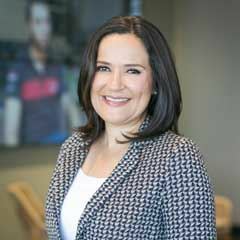 She brought visibility, transparency and accountability to the company by implementing the cloud-based financial system Netsuite, rolled out the initial stock plan for employees and ensured regulatory and tax compliance as the company transitioned headquarters from Australia to the US and opened locations in the UK and Chile, all while growing at a rate exceeding 40%. Annie recently co-founded, with CLUB co-founder Julie Stephenson, HIPLegal LLP, an IP strategic counseling, prosecution, licensing and litigation support firm that delivers practical IP solutions to its clients. Annie leverages 17 years of technology-based litigation to partner with clients to design and implement IP strategies that align with their business values and anticipate future issues. Upon this foundation, she helps maximize clients’ opportunities in identifying, valuing, licensing and maximizing their IP. Mona is an accomplished executive and entrepreneur, with decades of experience in corporate negotiations and management, combined with a strong science, legal and business education, all against the personal backdrop of being a westernized middle-eastern women. After a long and successful career in law, she moved into significant executive business roles with Coverity and then Cadence Design Systems. And after helping Cadence articulate and implement the company’s mission through a targeted acquisition and partnership strategy, she changed up her life again and co-founded VIBLIO, a new software company that helps to make your personal videos the glue to building your personal communities.